The trend in most countries is to go for a cashless economy – credit cards, online payments systems, and mobile money wallets have been increasingly used for money transactions all over the world. A new app was initiated in India, which allowed people to send money to other users and pay for goods and services. The Bharat Interface for Money (BHIM) application was developed for iOS and Android smartphones allowing cashless transactions at several outlets. This app works with all other Unified Payments Interface (UPI) operators. It was also set up to work with bank accounts. Getting the app to work is a straightforward process. Registration requires a bank account number, and a UPI Pin for the account. The user’s phone number becomes the payments address. Once these settings are done, the app can be used immediately. The National Payment Corporation of India (NPCI) developed the BHIM on behalf of the government. The Prime Minister of India, Narendra Modi, was available to launch the app. There have been several meetings between government personnel and the citizenry, where the advantages of a cashless system are taught and debated. The government announced the removal of the Rs. 500 and Rs. 1,000 notes from the economy and this have made people turn to cashless systems when dealing with amounts less than Rs. 1,000. There have been other apps in the past, such as PayTm, which have been used all over the country. BHIM has been a stiff competitor to PayTm and others. PayTm is quite popular and can be found even in small shops and stalls. 21 different banks are now using UPI apps like BHIM. The app is specifically created for simplicity. The user-interface is simple, and it is not cluttered with too much information as you would see on other apps. Other apps carry information on exchange rates, stocks markets amongst other information which would not be beneficial to most mobile users. OR code capability – Users can now scan a QR code for fact entry to online payment facilities. If merchants create their QR codes, it will make payments that much faster. Custom Payment Address – apart from the phone number, users can now create an additional custom digital payment address. Payment to Aadhaar – BHIM allows for easy payment to Aadhaar numbers. Transaction limits – All transaction have to be below Rs. 10,000 and the maximum permitted per day is Rs. 20,000. Given the popularity of the BHIM app, several banks have joined in and allowed their customers to transact through the app. There are big name banks and smaller banks, but the list is impressive. There are some banks that are waiting to be added to the app. The list of banks will probably include all banks in India within the near future. BHIM app has been offering rewards to its users. A user can get rewarded simply for referring a friend. When the referred person downloads the app, he or she gets to enter a referral code that is associated with your number. The new entrants get Rs.25, and the referee gets Rs.10. BHIM app is also giving cash back rewards from certain merchants. This is an effort to make merchants and shoppers increase the use of cashless transactions. These rewards are making people come to BHIM more than any other app when it comes to transacting on mobile devices. 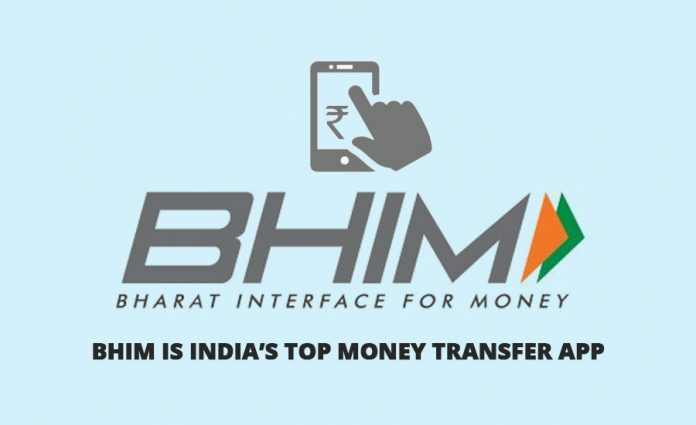 The BHIM app has been lauded for fast and easy transactions on mobile phones. An updated version is now available on Google Play Store and Apple App Store. The update adds more languages to the app and addresses some security issues, such a spam reports. The MD&CEO of NPCI, Mr A.P. Hota has said that he was pleased with the launching of the new update, which has enhanced security features and gives a better user experience than any other app in the industry. All transactions are safer and easier using the new update. The BHIM app has made it easy for people to make transactions on their mobile devices, in a safe and secure environment. The app can be used to send money to registered and unregistered users. The versatility of the app has made it very popular with people in India. The fact that The Prime Minister was available to launch the app shows how much attention it has got. Download it now and enjoy the benefits it has to offer. Next articleWhy is Social Media Advertising Still Relevant? Now Google Tez is the top app.